I read A Tree Born Crooked and The Martian this week. Now, I'm just getting into The Country of Ice Cream Star. The language is a little hard to get used to but I have a good feeling so I'm sticking with it. We (husband + me) decided to try Backstrom, Rainn Wilson's new show. It definitely has potential. Wilson is a riot, as usual. I've missed him since The Office wrapped up so it's cool to see him in my living room once again. 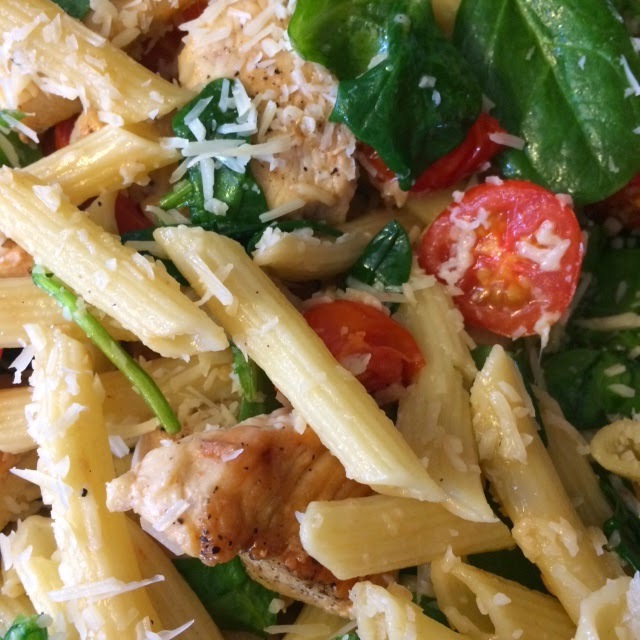 My favorite dish this week was this Chicken Florentine Pasta from Pioneer Woman. Simple, fresh tasting, and easy to throw together. You can't really lose with that combo. My eldest turned 23 this week. Happy Birthday to my sweet Danielle! I chopped off my hair! Well, my stylist did but you know what I mean. 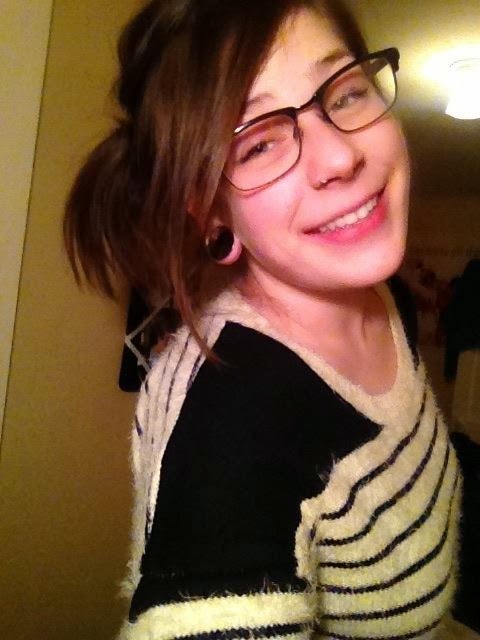 I'm thinking of going even shorter this summer. We'll see. I decided to sign up and give it a try. I've been chosen to receive the next VoxBox and while I don't know exactly what that entails I'm excited to figure it all out! I hope you all have a great week. I'd love to hear about what's new with you! 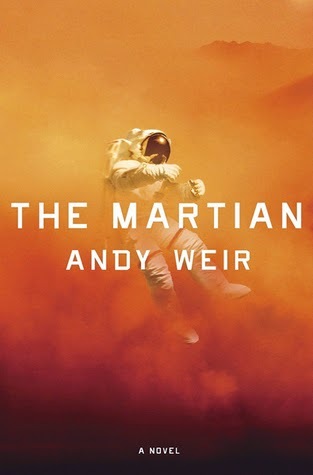 I loved The Martian and am waiting to hear what people think about Ice Cream Star before deciding whether to read it. Sounds different - could go either way. 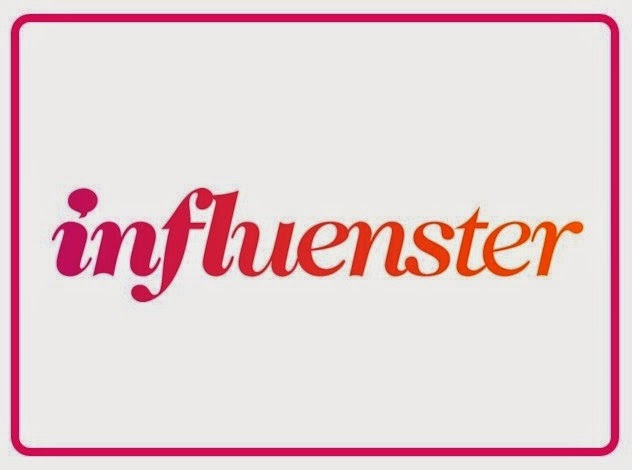 I'm also going to check out Influenster...I'm curious! Well, I had a comment...and as usual somehow lost it. The "short" (pun) version of it is LOVE the hair (yes, I'm such a fangirl, but somehow missed this on your Instagram...well, maybe not such a fangirl then). My wife and I want to see Backstrom too, but we'll have to wait until it comes out on Netflix. In the meantime, we'll pay attention to what you have to say about it (sans spoilers, of course). That chicken Florentine pasta looks amazing. And happy birthday to your daughter! Ohhh I missed your Instagram pic of the new 'do. LOVE IT! Yet another great looking photo of food :-) Your weekly wrap-up posts always make me hungry. What do you think of The Martian? I read it a couple of months back and really liked it. I can't wait to see the movie. I missed your hairdo picture, but I absolutely love it now that I see it. Ahem...where is that pizza casserole recipe, my dear?! I've been waiting all week. Wasn't The Martian great?? I'm so excited to see what the movie is going to be like. Happy Belated Birthday to your daughter, dang she's like all grown up! I love your new hair, it's so beautiful. That pasta looks good. I'm going back to the Skinnytaste meals this week, need better food. Happy Birthday to your daughter. That is a lovely photo. 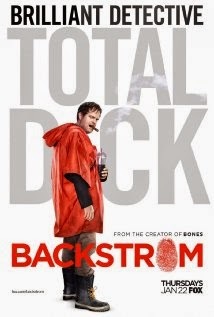 I think my husband would enjoy Backstrom. I will keep an eye out for it. Enjoy your new hair cut and have a great week. You have a 23 year old! Happy Birthday to her! That pasta looks delish. I want some. Happy birthday, Danielle! Love, love your new haircut!